For many years I made my living as a maintenance electrician in an automotive manufacturing plant. I loved the work. It was rewarding, paid well and because the automotive industry is always at the forefront of technology, I was always learning something new. However, the work hours were long and shift changes were a common occurrence. Many days I worked 10-12 hour shifts. Some weeks I worked dayshift, others the graveyard. Often I would bounce between several shifts in the same week. For instance, sometimes I’d leave work at 3 pm and have to go back at midnight. It got to a point where my body clock was completely confused. It’s midnight- should I be sleeping or wide awake? Because most maintenance work takes place when a plant is not running, the weekends were spent repairing a stamping press instead of relaxing with my family and friends. I often found myself so tired I couldn’t hold my head up. My story above is a familiar one. Just two weeks ago, I was conducting a safety class for electricians at a college campus. I asked one of the students if he was okay, as he looked completely exhausted. He assured me that he was fine, but that he had just finished a 10-hour shift before my 8-hour class. He then has to go to his son’s soccer match and then come back for another 10-hour shift! Needless to say, many accidents occur when fatigue sets in and those of us that shoulder responsibility for our workers’ safety needs to take this very seriously. We are not just morally bound, but we have the professional responsibility to monitor fatigue and safeguard our employees from its effects. Employees shall not be permitted to work within the limited approach boundary of energized electrical conductors or circuit parts operating at 50 volts or more, or where other electrical hazards exist, while their alertness is recognizably impaired due to illness, fatigue or other reasons. Just say no. Many times we need to say no to additional overtime due to lack of rest. 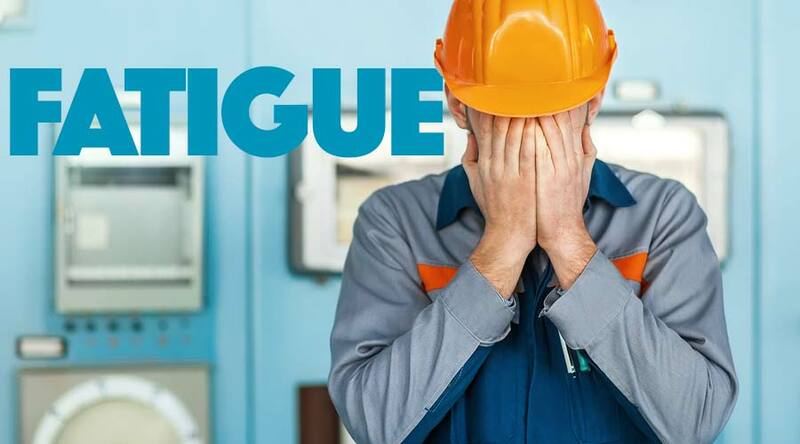 Fatigue has become a fairly accepted norm in the electrical industry and those of us with the responsibility to ensure our workers’ safety need to bring more awareness to this important matter. Please share this Safety Tip with your team and let’s make sure they get home safely! Fatigue is something that human being can manage. If they are looking after their body and health and follow simple basic tips that are mentioned in this post then fatigue can be overcome.